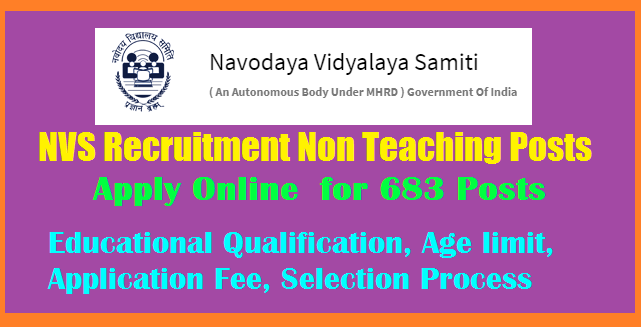 NVS Recruitment 2017: Navodaya Vidyalaya Samiti (NVS) is inviting Online Application forms for all eligible candidates to fill up 178 Non Teaching Staff Vacancies. The Direct link of the official NVS Recruitment 2017 Notification has provided for the candidates i.e., www.nvshq.org. also for the Complete Information about the Notification. Remaining details like Educational Qualification, Age limit, Application Fee, Selection Process are given below.